Want to look young and fresh? 30+ women should use an anti-wrinkle cream to moisturize skin and reduce fine lines. 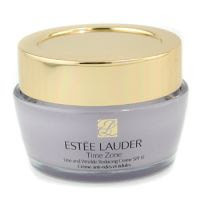 Estee Lauder’s Time Zone Line & Wrinkle Reducing Crème for normal or combination skin leaves skin smoother and tones it in just four weeks. It stimulates skin’s natural system to fight against radicals and external aggressions.